Sessions include a welcome package in the mail, use of the studio's clothing line, hair styling & makeup application (if desired), your session time, and a design and ordering appointment to walk you through choosing what you love after each session. Session fees do not include digital photos or printed products. It is so important to me that you have access to not only your digital files for safekeeping, but that you also have printed art that you will enjoy seeing in your home every single day. I know that we have good intentions to print on our own, but we all get busy and time gets away from us and before we know it, those images you love so much end up sitting on a USB or computer hard drive. I've designed my product offerings to fix that for you. All of my collections include all full resolution digitals so that you have the freedom to choose what you love to have printed and know that you also have the digitals for back up. You may also elect to purchase products a la carte. An exclusive and detailed printed product book will be mailed (yes, real mail!) to clients upon booking. Your family is a masterpiece. Let's create artwork to match. My albums are always client favorites! Highlight your session using all of your most loved photos that you can flip through at any time. Albums are sturdy and thick, and open completely flat offering a beautiful panorama. Thin page albums also available. New to the studio are my walnut species frames. 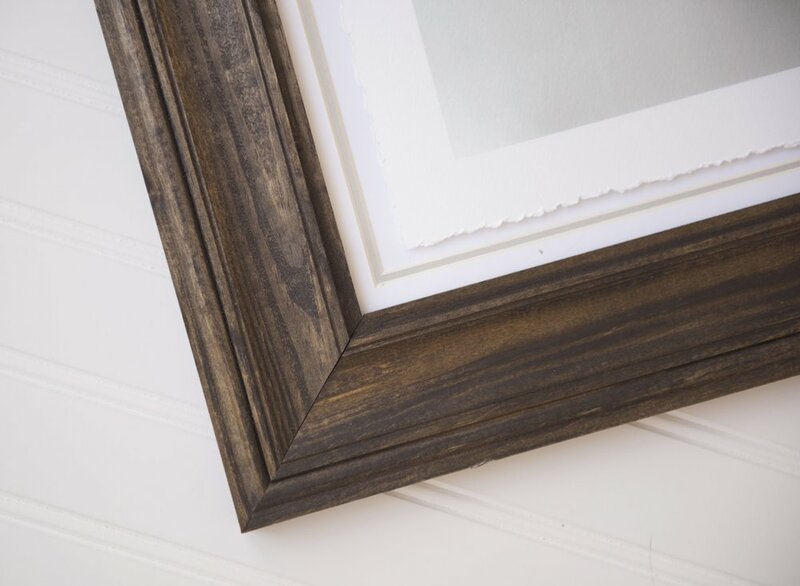 Constructed in the US, these hand stained frames are one of a kind and simple, allowing the beauty of your photos to stand out. Choose a regular print or a deckled edge (shown above) print for a unique presentation. An exclusive and detailed printed product book is mailed to clients upon booking. All major credit cards are accepted, and payment plans are also available.